The world is abuzz with Software as a Service (SaaS) which eObjx is, but better described as Entertainment as a Service (EaaS). An entertainment that you turn on at the beginning of your event and leave running until the event is concluded. 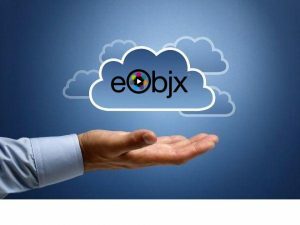 During that time eObjx is continually creating new entertainments from the content supplied by you and your guests/attendees while completely unattended – intelligently and automatically. QR codes have been around for a very long time, but never gained mass acceptance. The primary reason for that is that you needed dedicated apps/readers on your devices. All that changes with Apple IOS 11. The only app you need comes with your phone – the camera app. Just take a picture of the QR code and you’ll be directly taken to the URL. Now you can make it even easier for your guests/attendees to participate in an eObjx. Just print out the QR code in the handouts, splash them on the walls, even project them. 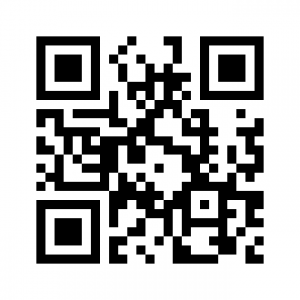 Your QR code will be automatically supplied for every eObjx event. eObjx can now play a YouTube Livestream as a peer object integrated into the playback of: images, gifs and videos. You can broadcast from your event – with webcam, video cam or even mobile phone via YouTube with someone roaming the event. In fact, you could have several Livestreams playing one at a time or concurrently. This opens the door to integrating simultaneous events or perspectives happening at the same time. As with any object in an eObjx, you can also double-click and go full screen with your Livestream and then switch back to a playback. Livestreaming could not be easier. When you setup your eObjx event, also set up the YouTube Livestream event and then supply the URL to eObjx. That’s it. We do the rest.